Kristina Aleksandrovna Kovalevskaya (Kiev, Ukraine) was elected to the public office of the Head of the Coordination Center of ALLATRA International Public Movement by the decision of the movement's active participants in May 2014. 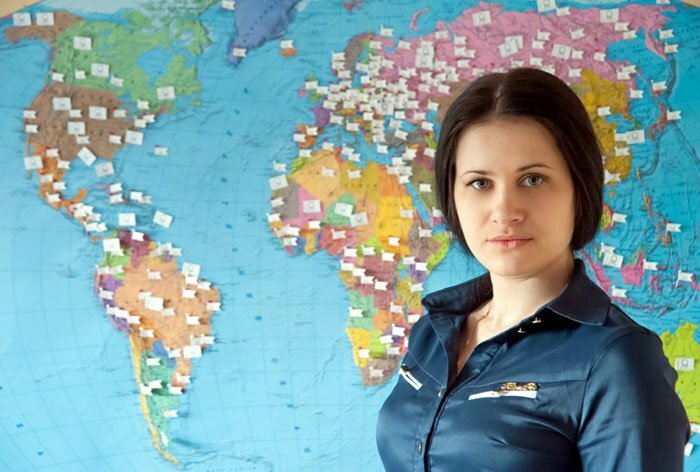 Kristina Kovalevskaya holds the rank of captain of the State Emergency Service of Ukraine. She has experience of working in governmental institutions related to analytical and expert activities, monitoring and assessment of government agencies, tracking funds, development of legal framework, and predictive research. In the CIS countries and Europe, Kristina Kovalevskaya organized socially oriented international projects, press conferences, briefings, communication workshops, international presentations, social advertising campaigns, and exhibitions dedicated to the international understanding and cooperation. She is the initiator and coordinator of activities for protection of human rights and freedoms, establishing justice and universal peace, and the globalization of the civil society. She coordinates work to engage socially active youth in public volunteer activities aimed at promoting the protection of natural human rights, consolidation of peace and security as well as solving social, humanitarian and environmental issues. Kristina has experience in organizing international socially oriented activities, interacting with international, intergovernmental, governmental, public, commercial, religious, and voluntary organizations, social movements, non-governmental non-profit environmental and humanitarian organizations as well as information structures. Institute of Political Sciences of the National Academy of Sciences of Ukraine (with honours).